Supreme Court Judge, Justice A.K. 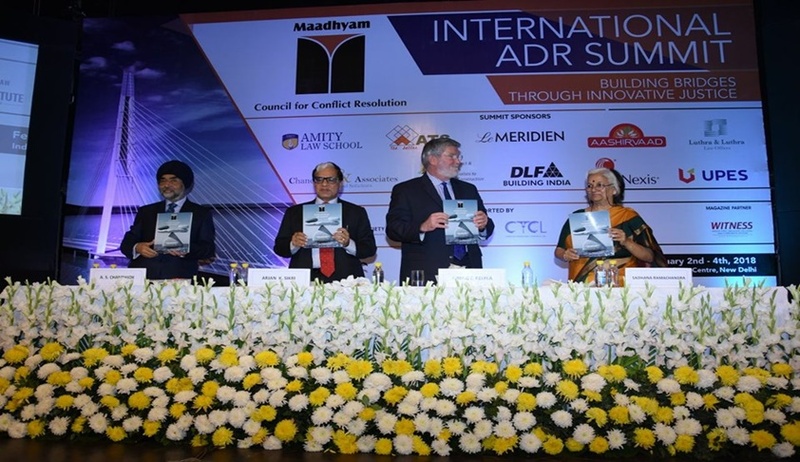 Sikri, on Friday, addressed the Alternate Dispute Resolution Summit, 2018 organised by Maadhyam, Council for Conflict Resolution. Mr. Reylea further spoke on the concept of the master class on advanced mediation training, and informed the attendees that in the US, the acceptance of mediation is as high as 97% and only 3% cases go through trial. The second half of the inaugural day was addressed by Ms. Sadhana Ramachandran, Chairperson, International ADR summit. The Summit publication was officially launched, paving way for the discussions that took place on the second day of the Summit.